French no. 1 Jo-Wilfried Tsonga (Player Profile) stormed back into the ATP tour today with a straight sets victory in familiar territory: the Open de Moselle. The defending champion breezed into the second round of the tournament with a 6-3, 6-4 win over fellow Frenchman Edouard Roger-Vasselin (Player Profile). The reigning champion has been sidelined since suffering an knee injury at Wimbledon that kept him out off the tour for over three months. This included missing the entire US Open Series and the final Grand Slam event of the year. 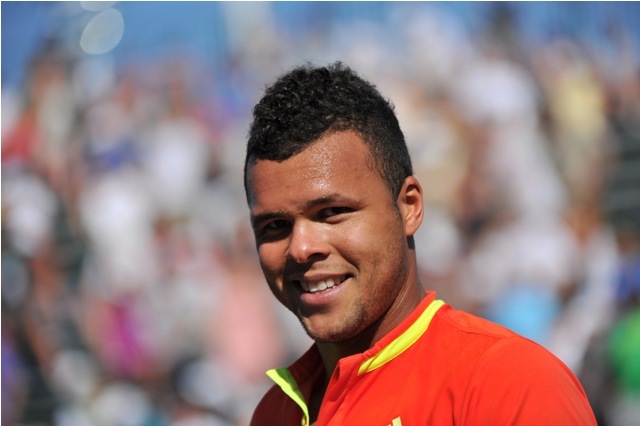 Now fully recovered, Tsonga commenced his bid for a third title in Metz. The match started modestly: Both players remained cautious and held serve for the first half an hour until a lapse in concentration allowed Tsonga to break ahead to a 5-3 and serve out the opening set a minute later. Tsonga hit 5 aces and won 17 of 19 points on his first serve to close out the set 6-3. While the second set remained competitive for it’s majority, Tsonga could not resist entertaining his countrymen with a display of showmanship and incredible shot-making during his own service games. Roger-Vasselin continued to apply pressure to the Tsonga serve but he was incapable of fazing the two-time defending champion, who eventually broke serve and closed out the match 6-4 to the ovation of the adoring crowd at Metz. Tsonga will meet Tobias Kamke in the quarterfinals after the German defeated Marton Fucsovics in three sets. In other news, sixth-seeded Sam Querrey defeated Paul-Henri Mathieu after the Frenchman following a 6-2 loss in the opening set. 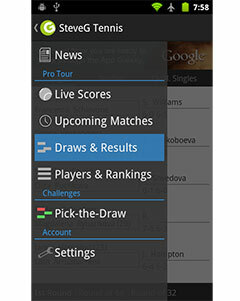 The American could potentially meet second-seed Giles Simon in the following round. Nicholas Mahut also advanced into the third round of the competition with 7-6(2), 6-4 victory over Leonardo Mayer. The world no. 8 will not only be attempting to claim his third consecutive title at Metz, but will also undoubtedly be looking to secure a spot in the Barclays Work Tour Finals in November.